Atlanta Roofing Specialists has been providing specialized roofing services to the Atlanta area since 1993, both owners, Kevin and Mark, still do estimates and work in the field daily. Over the years, Atlanta Roofing Specialists have built their business on providing the best service possible to thousands of customers. Atlanta Roofing Specialists is a full service roofing contractor. They can handle all of your residential and commercial roofing needs, from the smallest repair to the largest roof, no job is too big or too small! Atlanta Roofing's roof repair and roof replacement services are second to none and with their flexible payment options from insurance claims to accepting major credit cards they make it easy to afford that new roof! Roof inspection and estimates provided at no charge to property owners. Atlanta Roofing Specialists promotes GAF, Roofs for Troops, Discount and CertainTeed Shingles, Roofs for Red, White and Blue. Call today to schedule your free quote! Many roofing companies will tell you they can give you the cheapest price in town, but don’t be fooled, the cheapest price is very rarely good quality. A cheap roof replacement usually consists of low-grade materials installed by inexperienced and un-insured installers. A top quality roof replacement consists of the highest-grade materials available, and is installed by experienced installers who have years of experience replacing roofs of all types and size. Atlanta Roofing Specialists only uses top brands like GAF, Versico, CertainTeed Shingles, Velux, and more. They are GAF Master-Elite Roofer, CertainTeed SELECT ShingleMaster, Velux Certified Installer, a GAF Master Select Contractor, and Versico Roofing Systems Approved Installer. Atlanta Roofing Specialists was founded on the basic principle that commitment to quality and attention to detail always come first, and our commitment to quality does not stop there. They offer a 10 year workmanship warranty for roof replacement, including a 40-point final inspection. 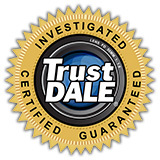 They also offer up to 2 year workmanship warranty on repairs. Atlanta Roofing Specialists goal is to provide their customers with the highest quality, most dependable service available. They work closely with each customer to assure all concerns are addressed and handled in a professional manner. Atlanta Roofing Specialists will earn your respect by meeting and exceeding your expectations. Their representatives come back and do a 40-point inspection on roof replacements after the job is complete.